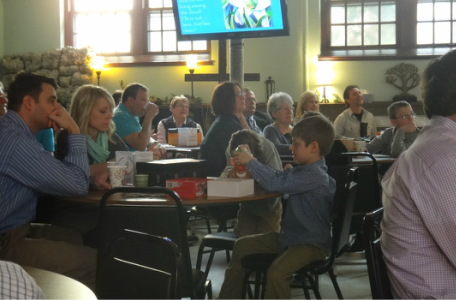 Second Service at 11:00am* is a casual, cafe-style worship in our lower level Fellowship Hall. Service is open to people of all ages; individuals and families; anyone looking for a laid-back, warm and welcoming place where you are accepted and valued for who you are - no matter where you are in life or on your spiritual journey. Come and be inspired! 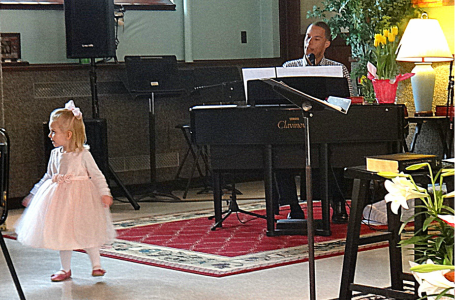 Enjoy coffee, snacks, a variety of music and high-energy messages. All are welcome...come as you are! Experience the love and grace of Jesus Christ. Children are always welcome and can enjoy a play place and children's "Treasure Box Time."